The problem with this type of thinking is that it became so easy to take a vacation from God. I can’t tell you how many vacations I’ve taken where I left “God behind” at home. It’s not like I didn’t take my Bible with me. I did bring my Bible on vacation; but reading it was another story. It’s not like I become a prayer-less pagan; but, outside of saying “grace” before meals, I kind of stopped conversing with God. I discovered (the hard way) that “my time” vacations often waste my time and, worse, damage my soul. I might spend time on amusing myself, but I do not have real fun. I might get rest, but I am hardly restored. I might be with the ones I love, but I find myself loving them less (it’s what happens when your kids or grandkids also see vacation as their “my time,” and then trying to balance everyone’s expectations – can you relate?) and not being “present” with them. 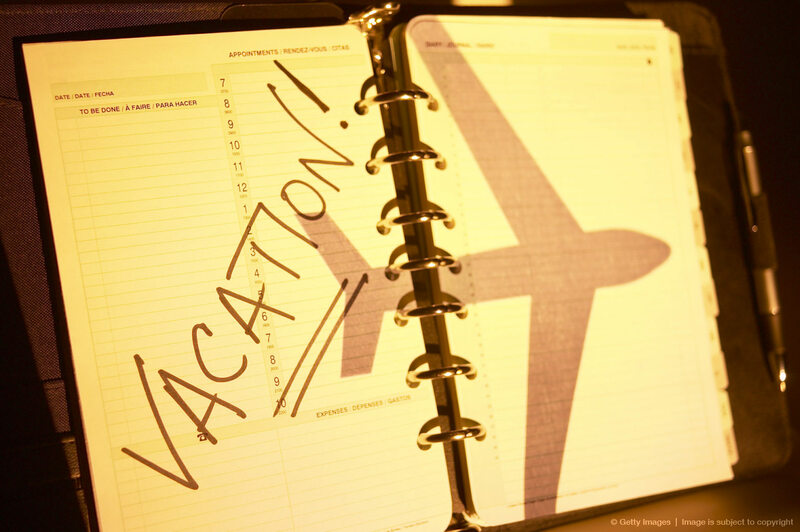 You see, vacations are not meant to be “my time.” Vacations are a “gift of time” from God. And like everything else in life, they are best enjoyed if God is at the center. Taking a vacation from God, at any time in life, is always dangerous. It is unplugging from the Source of Life. If anything, vacation should be seen as an opportunity to go deeper with God. I see it as an “extended Sabbath” in the best possible sense. This doesn’t necessarily mean that our vacations should be week-long hermitages of solitude and intense spiritual discipline. But it does mean that we should continue our rhythms of Whole Life Worship as a way of bringing re-creation to our souls. 1. Make Personal Worship Time a daily priority during vacation. I actually spend twice as much time in this rhythm of solitude, silence, prayer, Word, and journaling than I do in my non-vacation times. I find a nice, quiet spot and just park myself there to have time with Jesus. Or if you prefer, take a long walk with the Lord. Let your family members know this is a priority for you so they can respect your space and time; maybe it will encourage them to spend time with God themselves. 2. Engage in spiritual conversations with godly people. On this vacation, Letty and I had several wonderful conversations with several godly mentors and colleagues. One couple has been our mentors for 25 years. Besides catching up with family, we ask each other questions like: What has helped you grow in the Lord recently? Have you read any good books lately? What challenges have you faced and how has God led you? 3. Turn off technology and leave work at work. Admittedly, this is hard and sometimes I violated this promise to myself. But technology makes it so hard to be still enough to be restored by God and others. There were times I was so tempted to do work. Vacation came at a strategically bad time this year. But my godly and more-than-capable assistant stepped up and took care of things (she also chastised me for checking up on work!) This freed me up for the more important things God wanted me to engage in during vacation. God is the Author of Creation. He is also the Author of Re-creation. As you prepare to go on vacation, go with the expectancy of being “recreated” and renewed. Don’t take a vacation from God. Take your vacation with Him. Wow! I have always thought of vacation in the traditional sense. What you say, makes sense and can transform our vacations. Thanks, Doug. Thanks, Foy! I hope your vacation is God-filled, if you haven’t taken it yet. Blessings!